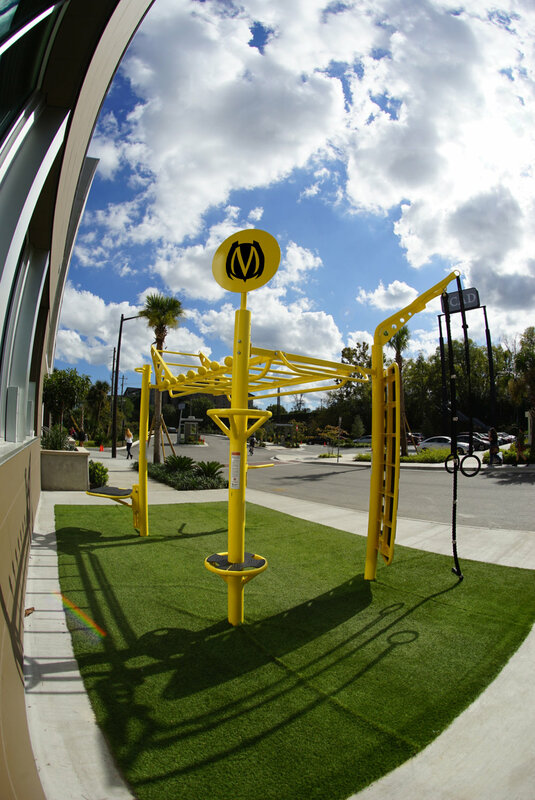 Savannah College of Art and Design adds to their beautifully designed fitness amenities on campus by adding two MoveStrong T-Rex outdoor Functional Training Stations! Each customized with school colors and different training features. Some of the custom training features chosen for the 4-post T-Rex were the new Monkey Bar bridge with tiered Climber bars, Globe Grip rail, pull-up bar side rail, adjustable dip and step, Heavy Bag hanger, Kickplate, Outdoor rings, climbing ropes, Cliff hanger grips and more. 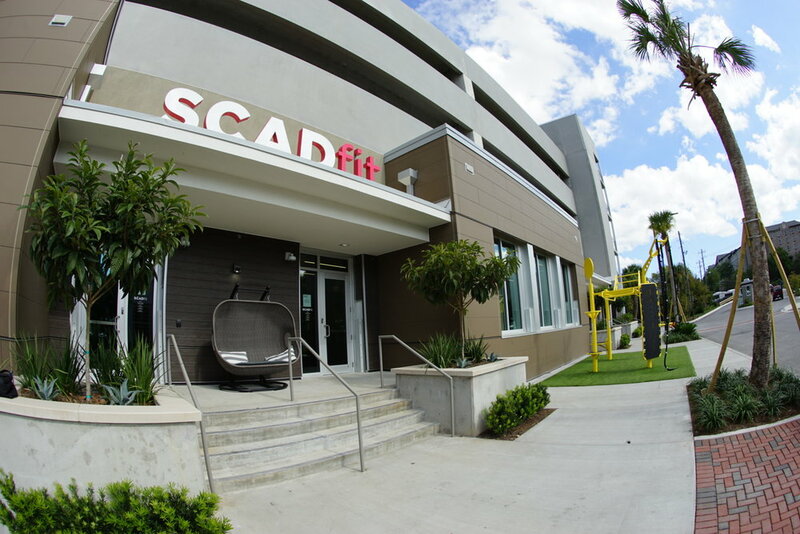 Located in front of the SCADfit building along with artificial turf students can take part in outdoor workouts individually or part of group training sessions with trainers. A great way to take in some fresh air, get some exercise, and unwind after class! Thank you SCAD - The University for Creative Careers for making MoveStrong a part of this amazing campus!!! Keep moving strong!